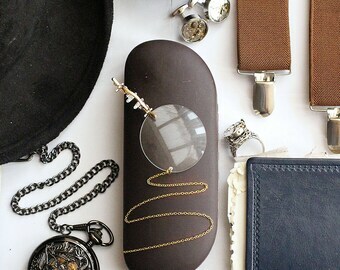 This handmade Gothic monocle, practically handsome and simple in its design, is easy to use and easy to wear. 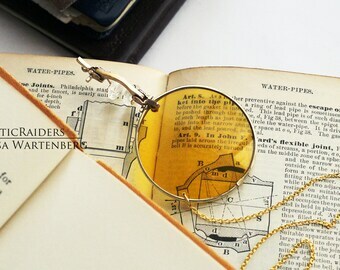 A clip on monocle that's lightweight and comfortable means this eyepiece accessory is a great thing to wear for long periods of costume use and the chain that's attached to your choice of chain ending - a cuff or a collar pin- adds a handsome touch of old school class to this simple, elegant piece. 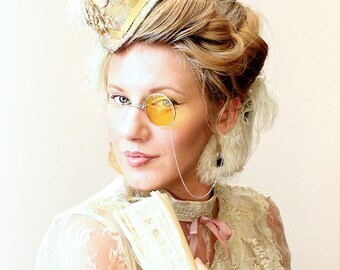 It's easy pinching mechanism is a great feature that enables the costumer to wear a monocle just like their favorite anime character or Steampunk persona. The new plastic nose pads it comes built with offer the last touch of comfort preventing any uncomfortable pinching or awkward grip on the nose bridge. Choose which ending style you would like to complete this accessory - an ear cuff which pinches onto the ear or a collar pin which can be attached to most collars, lapels etc. What does an ending do other than look cool? 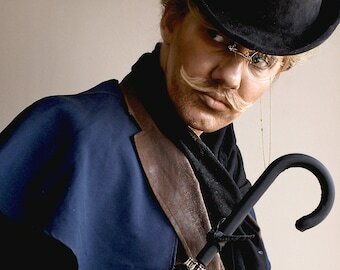 It offers peace of mind that in a moment of surprise you won't be caught with your new monocle dropping to the floor. Keep it safe and prevent it from crashing to the ground and choose one of the two case options to keep it in good condition when not in use. Wondering which side you'd like to wear it on? 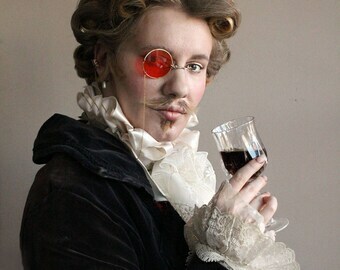 If you have a preference as to which side you would like to wear your monocle on, send a note to seller during checkout and the monocle will be personalized to your request. 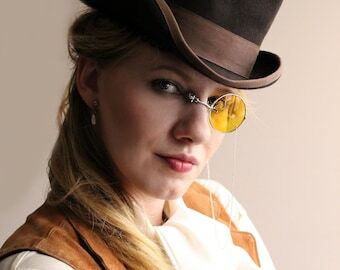 Be prepped, be accessorized and be ready to take on the convention with this handmade piece of eyewear. - 10" (35.5cm, 355mm) long chain, when measured end to end. 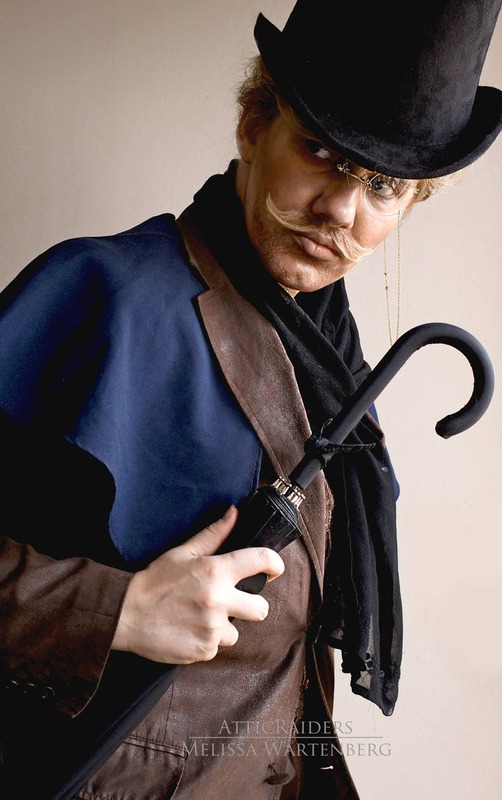 - Most ocular items have corners which may snag on delicate clothing so wear with care. - Keep your eyeglasses clean by using the cloth provided, and store them inside the case type of choice that was selected at the time of purchase, to keep them in good shape. - Avoid wearing lotions, oils or moisturizers on the nose bridge to allow the best chance of grip for the sunglasses while in use. - Any and all body parts, backgrounds, background stuff and other things in the pictures are not included in the sale of this item. You are purchasing an eyepiece only– parts are not replaceable if and not limited to, broken, stolen, lost, etc. 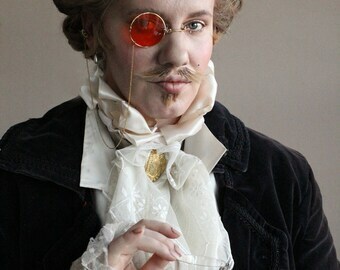 Everything about this monocle is fabulous. Beautiful quality, so well made. The ear cuff is functional as well as lovely, it adds style as well as security. 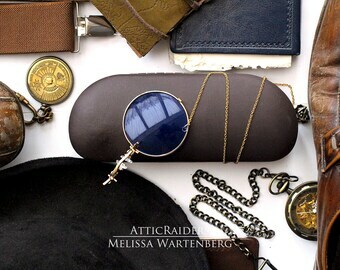 Mel was a delight to work with to personalize this gift for the recipient - who *loves* it. A top quality product from a gifted artisan. Thank you so much!